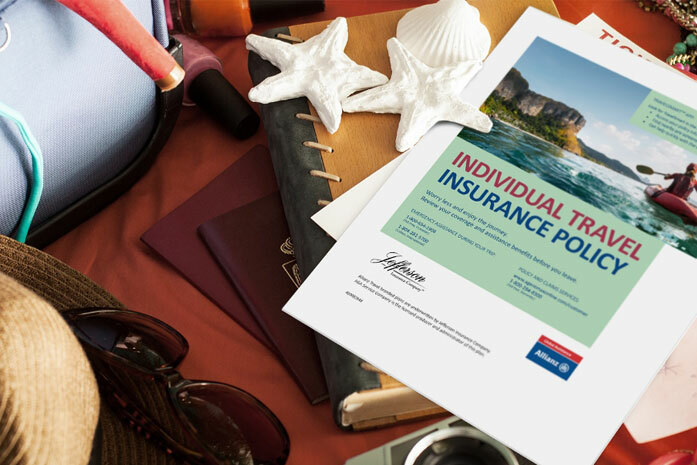 Consumers who understand how travel insurance works are twice as likely to buy it, our research shows. By helping educate customers on its value, together we inherently increase demand and make the sale easier. When travelers understand their benefits and use them when needed, they’re most likely to become repeat customers. We always encourage customers to read their plan documents carefully for all their benefits, limits, terms, conditions and exclusions. What we try to avoid is having customers file a claim thinking they’re covered, but then there’s nothing in their policy that allows us to cover it. Last year we rewrote all our descriptions of benefits and coverages on Allianz Travel Insurance policies, removing some “insurance speak,” to make it easier for travelers to understand what situations can be covered. Below, we explain some of the most commonly misunderstood policy terms. The “insured” refers to the customer(s) listed on the Declaration of Coverage. The provisions of the actual policy or certificate can differ by state due to state regulation. Travel insurance is designed to protect travelers when their trip is cancelled, interrupted or directly impacted by one of the covered reasons specifically listed in their certificate of insurance. Most of our plans include 25 or more covered reasons for cancellation, which may include job termination, jury duty and illness/injury of the insured, a traveling companion or a family member. Each benefit (travel delay, trip interruption, etc.) lists reasons that can be covered. Refer also to the list of exclusions, which states some of the reasons that are explicitly not covered. Travel insurance can cover many unforeseen travel disruptions. But it does not cover losses that arise from known or reasonably foreseeable events or problems. A scheduling conflict may be expected, but a severe storm is not. In short, if your customer is buying travel insurance with a specific scenario in mind (“I’ll probably have to cancel this trip because of X”), then it’s likely a foreseeable event. As their travel advisor, you’d want to recommend they select different dates for their trip. While the majority of our travel insurance plans do not include this benefit, we offer a cancel anytime plan that allows the insured to cancel their trip at any time, regardless of their reason. This plan can reimburse the insured for typically 80% of their lost, non-refundable, pre-paid travel expenses if they cancel for most any reason (refer to exclusions). However, they could be eligible for a full refund if it’s due to a covered reason listed in their certificate. A pre-existing medical condition is any injury or illness present up to 120 days prior to purchasing a travel insurance plan. 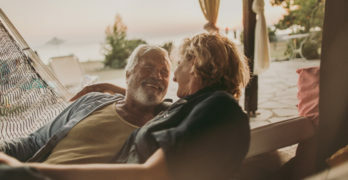 Insureds with a pre-existing condition may be eligible for trip cancellation coverage, as long as the customer insures their full, non-refundable trip costs within 14 days of their first down payment and meets a few criteria. Emergency medical and dental benefits cover losses due to covered medical and dental emergencies, up to the policy limits, that occur during a customer’s trip. Losses mean reasonable, medically necessary costs for medical or dental services, supplies and charges incurred for a covered health emergency. While most of our plans now include primary medical coverage, benefits and coverage limits can vary greatly between plans, so read the plan documents carefully for the specifics. In case of a covered travel delay (for instance, a 5-hour-delay due to the airline), the insured can be reimbursed for reasonable expenses for meals, accommodations and transportation due to the travel delay, up to the daily limit specified in their policy. To learn more about how our SmartBenefitsTM puts money back in customers’ pockets faster after a covered travel or baggage delay, read this article. If a customer misses the departure of their cruise or tour due to a covered reason, that can also be covered by travel delay. Travel delay benefits can reimburse non-refundable, prepaid expenses that the insured is unable to use due to the delay. If an extended travel delay causes the insured to miss more than half of their vacation, they can be reimbursed up to the full cost of their pre-paid, nonrefundable expenses. If baggage is delayed by a common carrier, hotel or tour operator for 12 hours or more, this benefit can reimburse the insured for reasonable expenses for essential items, up to the specific policy’s limit, until their baggage arrives. If baggage is lost, damaged or stolen while a customer is traveling, baggage protection can reimburse them for the actual value, repair or replacement of their items (whichever is less), within the limits of their policy. All claims require a report filed with the appropriate authorities. Additional Resources: Refer to this full list of benefit descriptions, and watch a short video on how to read a Certificate of Insurance/Policy.